Born in the Sudan in Northern Africa, Siddig was raised in England and attended the London Academy of Music and Dramatic Arts (LAMDA) where he studied acting and theater. Immediately after leaving LAMDA, Sid did a season of theater in Manchester (northern England), in addition to performing in various shows in pubs and small theaters. Later, Siddig worked as a director in a small theater in London. "I was in a situation where I pretty much had a theater company at my disposal and a theater at my disposal and could do anything I liked. . .as long as I did it for nothing. Which is sort of a step before charging and not being able to do what you like. I was at a point where I could have just gone on and become a director in London, as a trainee at the Royal Shakespeare Company or something like that, and ended up being a bona fide director. It was quite a big struggle because for a year and a half, which is the time I spent directing immediately after I left acting school, you just have no money so you're just living on welfare and you're trying to make it. . ."During this time of financial struggle Sid was offered the part of Emir Feisal in "Great Performances: A Dangerous Man: Lawrence After Arabia" (1992), the sequel to Lawrence of Arabia (1962). Sid co-starred with Ralph Fiennes who played T. E. Lawrence.Siddig's performance in "Great Performances: A Dangerous Man: Lawrence After Arabia" (1992) brought him to the attention of Rick Berman who was creating the new series "Star Trek: Deep Space Nine" (1993). Originally brought in to audition for the role of Captain Benjamin Sisko, Berman decided Siddig was too young for the role and cast him as Dr. Julian Bashir instead. 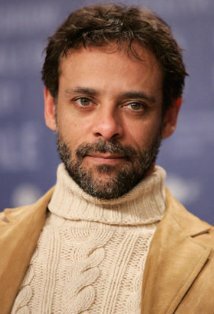 The part had to be slightly rewritten for Siddig as the original "bible" had called for an Hispanic male to play the part, named Julian Amoros, although Berman reports that no other actors were considered for the role.During his time on "Star Trek: Deep Space Nine" (1993), Siddig and co-star Nana Visitor had a son (Django) and were married in 1997. They divorced in 2001, although they remain friends.After a successful seven-year run on television, Siddig began working in feature films, quickly accumulating roles in movies such as Vertical Limit (2000), Reign of Fire (2002), Kingdom of Heaven (2005), and the critically acclaimed Syriana (2005). Early 2005 saw Siddig return to the stage opposite Kim Cattrall in the West End production of "Whose Life Is It Anyway?" Following a controversial guest turn on "MI-5" (2002), the title role in Hannibal: Rome's Worst Nightmare (2006) (TV) in 2006 and a recurring role on "24" (2001) in 2007 brought Siddig back to the small screen.